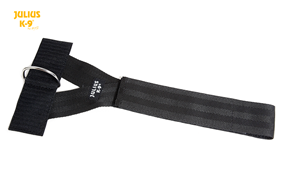 Miniature Schnauzer - Julius-K9 harness size Mini-mini - Las Vegas K9 Inc. 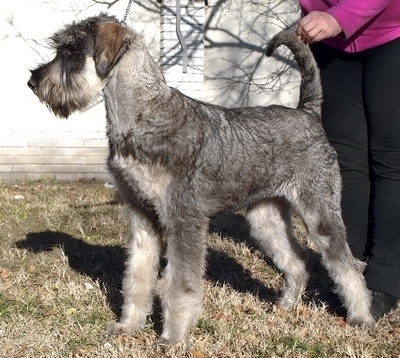 The miniature schnauzer is a robust, sturdily built terrier of nearly square proportion. 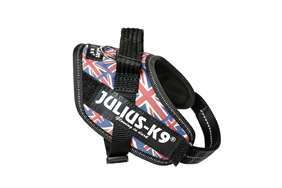 It was developed as a ratter and is quick and tough. 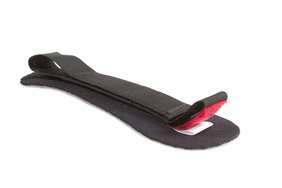 Its gait displays good reach and drive. 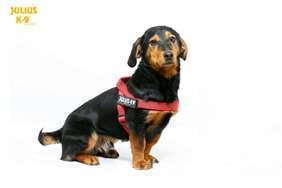 Its coat is double, with a close undercoat, and hard, wiry, outer coat which is longer on the legs, muzzle and eyebrows. Its facial furnishings add to its keen expression. The miniature schnauzer deserves its place as one of the most popular terrier pets. It is playful, inquisitive, alert, spunky and companionable. It is a well-mannered house dog that also enjoys being in the middle of activities. It is less domineering than the larger schnauzers and less dog-aggressive than most terriers. It is also better with other animals than most terriers, although it will gladly give chase. It is clever and can be stubborn, but it is generally biddable. It enjoys children. Some may bark a lot. Pug, Doxle, Boston Terrier, West Highland White, Border Terrier, Pomeranian, French Bulldog, Dachshund, Miniature Schnauzer, Havanese, Cairn Terrier, Lhasa Apso, Pekingese, Jack Russell Terrier, Schipperke, Japanise Spitz, Bolognese Dog. 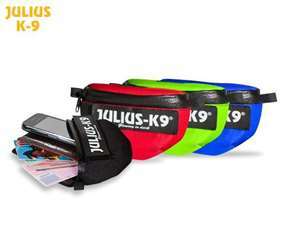 Julius-K9 IDC Harness - Mini-Mini - New Colors!